Before you use or order, you may wish to know what other users have said about our product. below are some of the feedback we have received from our customers. To protect our client's privacy, we have shown the customers first name only. Thank you for your high quality product. This is just my 2nd purchase, but I am satisfied with my 1st. Your prompt service has been excellent. I have tried other brands over the years BUT none of them come close to your product. The freshness and colour are far superior to anything else I have tried. I have been one of your best advertisements, in telling friends and family of your fantastic product. Keep up the good work, it is appreciated. Good on you, guys! We always prefer honest, hard working, Australian producers. I liked the information regarding your manufacturing process. It is reassuring to still find companies that are open about their product, having nothing to hide. Thanks. Thank you for all your factual information and saving me from taking inferior spirulina. Spirulina is my food supplement of choice but the problem has always been its unappealing taste and odour. I always thought this was just spirulina and I would have to find a way to ingest it without ever tasting it. Spirulina has always been associated with an upleasant swampy taste for me. What I didnt realise is just how poor the quality of spirulina I was buying was. All of it big name brands and all of it, awful. When I got your spirulina the first thing that struck me was the irridescent blue-green colour. A colour I had never seen in any other spirulina. Next was the clean and light odour, hardly any. And finallly the taste, or rather lack of it. This is the only spirulina I can ingest as a powder mixed with water. There is no after-taste, and no unpleasant flavours. I realise now that the awful flavours were in fact a sign of a poor product, possibly fraught with contamination. Most spirulina powders and pills are a flat dark green colour, with no hint of blue at all. Strange indeed for a blue-green algae. Yours is so vibrant it almost glows. Spirulina is not a cheap food, all the more reason to get the best value for your money and buy a quality product. What passes for spirulina in most packaging is a low standard product, and anyone who takes this food should try your product to see just how good spirulina can be. I used to take 10gms daily but I find half that is sufficient with yours. Thanks Guys for your services. I just found out about this fantastic product and am so proud that it is manufactured naturally here in Australia. I will definately be returning to your site and hopefully i can convince my family to take Spirulina aswell. Wishing you all a Very Merry Christmas & a Peaceful & Enlightening 2012. 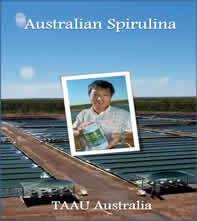 I just want to say that I love your Australian Spirulina. It is by far the best I've ever tried. I suffer from Iron deficiency and definately notice that this spirulina gives me energy. Hi there all, Just wanted to say how much I appreciate finding you recently. I have been a fan of spirulina for years, but it appears I have been using inferior quality. I have just ingested my first serve of your fantastic product and will certainly remain a staunch customer from now on. I have just ordered tablets for my wife and have already recommended your product to some friends. Thanks again for producing such a miraculous product in pure Australian waters. Your company can only proceed from strength to strength. Regards and blessings to you all. I recently requested from you a sample of your product which you promptly sent. I am now using your product and I am very impressed with both the product and the extensive information that you have supplied. I can now see how important it is to shop around before purchasing a product from a company. When I enquired from companies the source of their ingredients, they were very quick in distancing themselves from supplying this information. I now see their reason for shying away from such information -- as it now becomes quite apparent that they do not want to divulge this for the obvious reasons. Importing ingredients from outside countries that have little or no quality control presents some serious concern. For one to take a chance with their health in relation to lead and mercury content says a lot. I would just like to say how pleased I am with your response time and your professionalism in relation to your product and information on that product in general. I would just like to say Thank you. The information you provided in regards to spirulina certainly opened my eyes. We had just purchased HXXXX Care Australia Super Spirulina with the information labelled Australian made GMP and also states that it is Organically Grown clearly in red on the front of the product and states it is Australian made and owned. We will be researching this product more closely thank you to your information. The reason this product was purchased was because of the information on the label. After our researching we may be purchasing your products Thank you again for your information on the web. Thank you for pointing out the difference between Spirulina grown in pollution and pollution free environments. I did not realise the importance of this fact until I read your site. I look forward to trying your product. Your spirulina is easily the best I and my friends have ever tried and we are very happy to buying from you. I purchased some of your spirulina powder and tried it last night. I was truly blown away by the quality and purity. Over the years I have tried many different brands (inc. so called organic ones) but yours is by far the best and most reasonably priced. Thank-you.I think your free sample was the most generous and health changing sample I have ever been afforded. Loved it! Easy to navigate through. Full on great information. WE need to get out to the wider public the fact that\'s it\'s AUSTRALIAN. I felt I had instant results re my painful hands. This pain has not completely abated, however, I do feel very alert, and ‘well'. As I have said before, I also take glyconutrients, and Omega 3, and glucosamine. I have had a very itchy back for some time. I mean…really itchy!!! My main reason for trying the Spirulina, was to try and have an ‘alkaline' level in blood/body. Great product and after doing most of my growing up in Darwin it's great to buy from you. I have been looking into Spirulina for a little while and think your website is the most informative and easy to understand of the lot. looking forward to starting my new health regime as soon as your product arrives. Thank you very much for the free sample. I can't believe how much my energy levels have increased in under 3 wks whilst in my 3rd trimester of pregnancy. Thank you for your free sample of your product. I had a baby last year and was feeling tired and cranky. Your product has helped my mood and I am feeling better since starting on the sample you provided. My mum is trying some Spirulina again and having much better results than her first time. I am also taking a trip to Africa soon so i am going to take some of your tablets with me to keep my routine going. I have been taking your Spirulina for nearly 2 years now and can't imagine my days without it! I found your site to be very informative. This is part of the reason for my choosing to purchase your Spirulina. I am a long term Spirulina user and have previously gotten mine from South India . I really liked the effort that you have put into explaining the ways that you produce your Spirulina. These details are important to me because I have found most Spirulina to be untrustworthy. Thank you and I look forward to giving yours a good try out! its good to know that the heavy metal content is low, as for the fertilizer I'm not sure what that is made from so I cannot say what i really think. But it is great to know no pesticides, chemical or herbicides are used as these products are used to often in our food sources. As for the certified organic product since it can have higher heavy metals in it and also the risk of higher bacterial levels as bacteria could possible thrive in organic nutrients which could cause bad taste or sickness. Well, honestly, it is exhausting sometimes finding the right products to consume, especially when all one wants is just a healthy and safe alternative to genetically modified foods or fad foods which have no nutritional value. Maybe I fuss alot because when I purchase a product for the whole family I want it to be the best and a healthy alternative with no synthetic nutrients. I received an answer from a company who says they produce the best and only certified spirulina from the clean souhern area od India (Ooniayur) They tell me they do not use any chemical foods to feed their Spirulina. I told them I found a clean source here in Australia . My mum received a free sample not long ago and shared some with me, its an amazing product and I am trying to get my husband into it too. So thank you very much for the generous sample and I look forward to purchasing more from you in the near future. I am recommending the product to all my friends. Love the site. LOVE the product. I have used overseas Spirulina before and am very keen to try an Australian home-grown! That is great that it is Australian! Well-done. Your spirulina is the best by far, I will not even think about buying from another supplier! Well done and thank you for such a fantastic product. I have been taking Spirulina now for well over two years (tablets) and I highly recommend to anyone. I am now going to try the pure powder. I have the blood pressure of a 30 year old and cholestrol reading of under 3.5. I have been advised from my sister to take your product...she says that she has never felt better since taking it. Thank you very much for sending out the sample. I'm already noticing the effects and feeling better after just a few days of taking it. I've just purchased the $45 bottle of tablets from you to continue with this marvellous product. We also wish to inform you that your Spirulina has been the magical tablet for my wife. 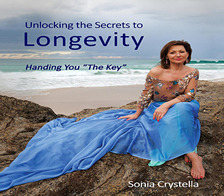 My wife has suffered from the debilitating disease "Interstitial cystitis" since 2005. prior to my discovery that a Melbourne urologist Doctor xxxxx had reported that some patients in America were having good results with Spirulina. my wife's life had been hell. The then only available treatment was that every six months she would have to enter Hospital three times in consecutive weeks to have a bladder installation of the substance "DSMO"
Since our discovery and my wife taking 5 tablets twice daily she has found she has been able to control the disease and even include in her diet some foods that in the past would have triggered off the bladder reactions. So we are hoping the Spirulina will continue to keep her illness in check. Excellent website, very very easy to use and great product. I've used a few different Spirulina products (mostly Hawaiian Spirulina) but I've got to say this is by far the best one. Thanks. I appreciate you making this product for us. I thankyou for the sample and DVD that I received. It was most informative and I already realise that what I have been using is sub-standard. Infact I can find no information on the bottle that tells me where it is from. I will be buying your product from now on. just a quick note to say I am very happy with your spirulina, i think its the best in the world. Hi, I have purchased (and re-purchased) your 100% product for myself and for my oldest (athletic) son, and we have both experienced higher energy levels – thank you. I have been purchasing S Brand ORGANIC SPIRULINA but after reading about your clean Australian grown product and background to the company, I see that yours is a superior product when compared to unknown imported and so called 'organic' ingredients. Love that Spirulina! Best I have felt in a long time and I have only been on it a couple of weeks. I was interested to read the claims on your Website today. I have recently purchased Spirulina (100grams only thank goodness) of the so called Organically Grown with the Australian label - and coincidently have only in the last few days have heard (on Macca on ABC Australia all over program ) that Product of NZ or Australia may not in fact be so. Went back to double check on the original label from the large jar used by the health store (who incidentally weigh out the powder in grams and sell it for around $72 per kg) - and, in very small print it says "Packaged in Australia from imported product". I am sure that like our family most Australians are similarly hoodwinked. Your site isn't the flashiest or best looking or has the best graphics, but it is very informative and has lots of info to help people understand many things about spirulina. I have been buying certified organic spirulina, but from what you are saying it isn't really high standard. I want only the best for my body. Thank you! I am very interested in trying your product. I currently use Spirulina but not australian and am proud to say that I will buy Australian made/ grown where possible. Excellent website with all the detailed information, which really convinces the authenticity of your product as Australian Made. Appreciate your effort and I am confident of your product too! Good morning. I have been taking Spirulina now for several months and like many other people, have become an enormous fan of it. I am now sixty-five and had given up hope of ever having good energy levels and of feeling reasonably “ well ” in my life. I cannot say how much of my new feeling of being "well" is directly attributable to Spirulina, but I suspect most of it is. Apart from wanting to let you know how good your product is and to say I hope you are around for a long time, I wanted to tell of my personal success with a long standing condition which Spirulina has virtually cured. I, like many people suffer from Irritable Bowell Syndrome¡¨ (IBS), (The medical term is Diverticulitis), To the sufferer, this is a most debilitating condition. It not only causes a range of uncomfortable symptoms, but can also prevent the absorption of nutrients. When I commenced taking Spirulina I experienced a few days of strong bowel reaction, which I now believe was the Spirulina detoxing my digestive system. After a week or two my symptoms stabilised and I enjoy a quite relaxed digestive system. It is wonderful. Recently I needed to come off Spirulina for several days to have a bone density test and the symptoms of IBS returned quickly. There can be little doubt that Spirulina is responsible for the improvement. Why am I telling you all this? I realise you cannot make any medical claims about Spirulina, but I am so pleased with this unexpected improvement that I wanted to let you know. Many people suffer from IBS. I am sure no one would be worried about a little word-of-mouth recommendation. Love all the information you have put up. I feel like I really know what I'm buying. Thank you for the sample which you sent to me. I have been taking it now for a week and feel my energy is much much better. I have been trying to raise my iron levels for sometime now and I wish I had found it 18 months ago. Anyway I am grateful for your sample and for finding you online. I really feel your product is quite superior as I had tried another brand the week before but didn't feel as good on it as i do with yours. Thank you! I ordered this product a week ago - it is fantastic. I am now ordering another batch for my Mother. Your site has comprehensive and detailed information. I am happy to support your company and continue to buy this wonderful product. Informative, believable site. I am an American living in Japan and only recently heard about spirulina for the first time from an Australian colleague. I am now trying some Japan spirulina tablets. Your powder sounds like a superior product. I look forward to receiving it. Thank you. You have the best product because of the paper "Heavy metal analysis in commercial Spirulina products for human consumption" https://www.sciencedirect.com/science/article/pii/S1319562X13000430 . The paper evaluates Spirulina from 25 different sources according to their contents of 6 heavy metals. The first sample (S1) is from TAAU Australia Pvt Ltd, NT, and it has the lowest amounts of heavy metals of these samples. Your Spirulina was rated as the best one in the world. Pure product, great quality standards, Aussie Aussie Aussie. Love the quality, hopefully more people get on to this and ramp up demand, great company !